Born into a military family, Dr. Daniels' passion for service was nurtured at an early age. 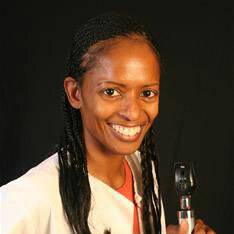 She attended Oakwood College and then Pennsylvania College of Optometry in Philadelphia. Upon graduation, she was commissioned as a Captain in the Air Force and stationed at Bolling Air Force Base in Washington, DC. It was a mission trip to Mexico that ignited the flame for mission work. This flame still drives her today. She has an intense passion for service and ministry. Dr. Daniels owns a practice in Fort Worth, TX and learned Spanish to better serve her patients. Daniels created a program called "Better Vision Better Hope" which provides humanitarian services to those in need locally and internationally. She also partners with United Hands, Inc providing care in St Kitts, St.Vincent, South Africa, Jamaica, Haiti, Guatemala and Honduras. 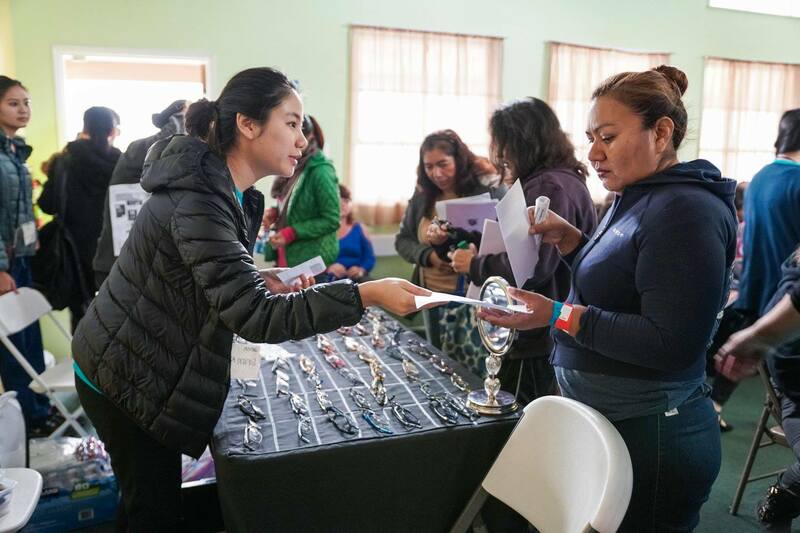 Locally, the program partners with several homeless shelters, churches, and numerous other charitable organizations in her effort to fulfill her mission of service. As an optometrist with a private practice, I was anxious to learn how to be an Adventist Medical Evangelist. Hence, I was overly excited when I discovered AMEN and anxious to send in my membership application. However, my excitement dwindled as I searched their website and noticed the focus was on “equipping physicians and dentists to be medical evangelists” but it didn’t seem to include other health professionals, including optometrists. Disappointed, I logged off the website and signed-off on any future involvement with AMEN. But God had a different plan. Since then, I have learned that AMEN encourages involvement from other healthcare professionals and offers affiliate membership. This year, for the first time, AMEN partnered with ASDAO (Association of SDA Optometrists) and the annual meeting for both organizations was held together. 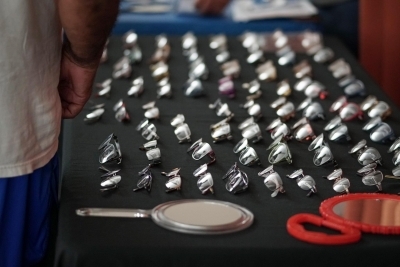 Eye care providers have become an essential part of AMEN Free Clinics. 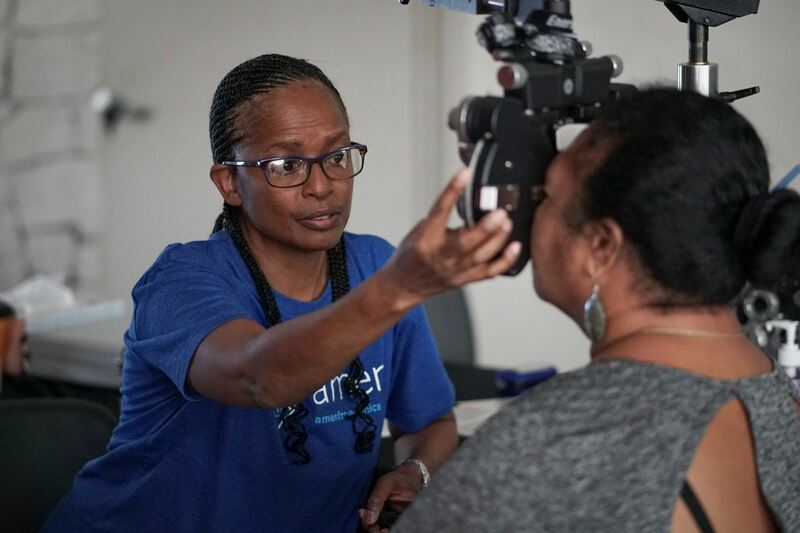 AMEN has invested over $50,000 towards eight portable units, allowing eye care providers to render complete eye examinations on-site. Access to vision care and prescription eyeglasses is an added benefit to all AMEN Free Clinics. This is right up my alley, so I began to get involved. Traveling across the country to various free clinics, I realized that my passion was in charity service. Private practice was just my job. Daily I encountered God in prayer, asking Him if this was His direction for me. One Monday morning, parked in front of my office, I sent up my habitual prayers for guidance and endurance. As I was preparing to lock up my car, I noticed my neighbor’s store, which had been an anchor of the strip mall for over 37 years, had all the windows covered in paper. Silly me, I thought they were remodeling and there would be a grand re-opening, but as I tried to peek between the sheets of paper I noticed the 5,000-square-foot space was empty, not even a hanger left behind. Before I could enter my office to interrogate my staff with the “whats” and “whys,” I read the words on the marquee of the other anchoring business, “Closing in 2 weeks”! I saw in all their closings a message from the Lord to me as well. All I could do was laugh and praise God for answering my prayers in a totally unexpected way. So, without truly considering a source of income, I announced that I too was closing, or rather “retiring” from, my private practice to pursue charitable missions. Now my prayers had a different motive, “Lord please allow me to find a way to live by working through my passion of serving those less fortunate.” Once again, God answered my prayer. Just a short while later, I received a call from Vinh Trinh, AMEN Clinic Director, offering me a position as AMEN’s Eye Care Director. Since January 2017, there have been a total of 26 AMEN free medical clinics offering vision services. Our statistics show that approximately 10% of the patients receiving an eye examination at AMEN Free Clinics have declared themselves as diabetic. Currently, 28.5% of diabetics, or 4.2 million people, suffer from diabetic retinopathy in the United States. It is the leading cause of preventable blindness among working age adults in the United States. Early detection of diabetic retinopathy reduces the risk of severe vision loss by 90%. Still, a high percentage of diabetic patients never get screened. With our increasing frequency of community health free clinics, the opportunity to screen, detect, educate, and prevent diabetic retinopathy is measurable. The most effective method to screen for all diabetic patients will be with retinal imaging that could be easily captured on-site by a trained technician/volunteer and reviewed for any clinical pathology and specifically for diabetic retinopathy by an eye care provider. 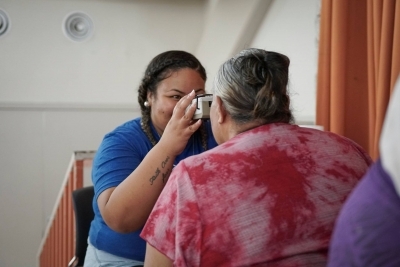 Diabetic retinal photography was introduced at an AMEN Free Clinic in Detroit this past summer. “Adam”, a 23 year-old young man, was among the first to have his eyes screened and the first patient to be diagnosed with diabetic retinopathy. Evidence supports that early screening for diabetic retinopathy can prevent permanent vision loss with timely treatment and continued education. Patients diagnosed with diabetes are encouraged to enroll in the Diabetes Undone course, either as an individual or small group, facilitated by the local Seventh-day Adventist church. There are no symptoms so early intervention is best. Thus, AMEN has purchased a portable retinal camera so we can offer screenings to as many people as possible. We are currently praying for funding to purchase a retinal camera for each mobile truck so that we can properly screen all diabetic patients registered at an AMEN Free Clinic. However, AMEN’s focus is much more than just providing glasses, or even screening for diabetic retinopathy. Yes, we want people to see better and avoid blindness, but our ultimate goal is to help them avoid spiritual blindness by introducing them to Jesus Christ. We have found creative ways to incorporate a spiritual component into eye care at the AMEN clinics. Each participant receives a GLOW tract with the delivery of their glasses and case, but long before that we plant a seed. Inspirational material is introduced during our very first encounter as part of the eye exam. Laminated GLOW tracts are used as the reading card when we test for the reading/bifocal prescription. Our mission is for people to be able to read the gospel for themselves, so why not test with that reading material? One tract that we often use starts with “The Power of Prayer”. During one particular exam, I was reminded of how those simple words can affect people and even lead to conversion. Shocked how he tossed the card but more puzzled by the comment, I asked him to explain. Long story short, he was raised as a Seventh-day Adventist but had drifted away from the church. He thought the world had more to offer. As we began to talk, he shared that the prayer life of his mother never ceased – he always knew she was praying for him. Now, he is ready to begin on a journey to find Christ again and has started going to back to church. AMEN’s philosophy is to follow in the footsteps of the Great Healer and minister to people, not only by restoring the body, but also by reclaiming the heart. When Jesus sent His disciples out to do ministry, He instructed them to carry on this approach by preaching and healing (Matthew 10:7,8). One was not to be done without the other. We believe that this model of ministry is still the most effective way to spread the gospel. And, by adding vision services to this ministry, we are equipping others to read and study the gospel for themselves with clear vision through new prescription glasses.